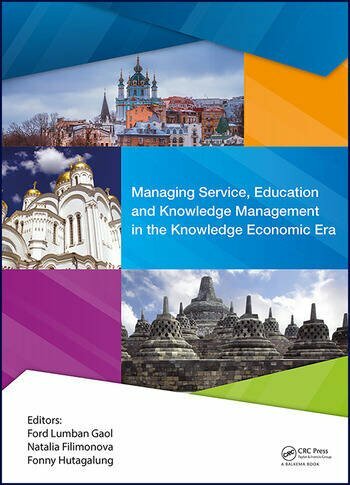 Managing Service, Education and Knowledge Management in the Knowledge Economic Era contains papers that were originally presented at the 2016 International Congress on Management and Technology in Knowledge, Service, Tourism & Hospitality (SERVE 2016), held 8-9 October 2016 & 20-21 October 2016, in Jakarta, Indonesia & at the Vladimir State University, Vladimir, Russia. The contributions deal with various interdisciplinary research topics, particularly in the fields of social sciences, education, economics and arts. 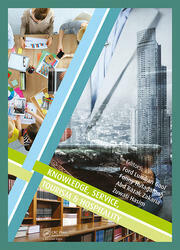 The papers focus especially on such topics as language, cultural studies, economics, behavior studies, political sciences, media and communication, psychology and human development. These proceedings should be of interest to academics and professionals in the wider field of social sciences, including disciplines such as education, psychology, tourism and knowledge management. Dr. Ford Lumban Gaol received his B.Sc. in Mathematics, Master of Computer Science, and his Doctorate in Computer Science from the University of Indonesia, in 1997, 2001 and 2009, respectively. He is currently Associate Professor Informatics Engineering andInformation System, Bina Nusantara University, Indonesia. He is the Vice Chair of Ph.D. Program and Research Interest Group Leader "Advance System in Computational Intelligence and Knowledge Engineering" (Intel- Sys) Bina Nusantara University. 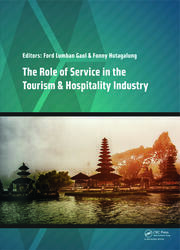 Dr. Ford is the officer of IEEE Indonesia section for International and Professional Activities. He is the Chair SERSC: Science and Engineering Research Support Society Indonesia Section. Dr. Ford was the ACM Indonesia Chapter Chair and is involved in several projects related to Technology Alignment in several multinational companies such as Astra, United Tractors, Telkom, Sony Erickson. Dr. Ford was Visiting Professor to Hong Kong University in 2011, and to the Kazan Federal University 2014-2015. Dr. Fonny Hutagalung received her B.Sc. in psychology, Master of Industrial and organizational Psychology, and Doctor in Psychology from National University of Malaysia in 1996, 2003, 2011, respectively. She is currently Head of Department of Educational Psychology and Counseling. Her research interest are Psychological testing, Cognitive abilities in Early Childhood, Human Development, etc. She also takes responsibility for the teaching and learning portfolio for the undergraduate, post graduates program. She oversees local and international undergraduate and post graduates student matters and she and her team have recently developed a comprehensive student advisory system for the faculty. Her most recent books are ‘ Research in Early Childhood Education (2016) and 'Introduction to Social Psychology: Perspective and Knowledge (2016). Dr. Fonny Hutagalung is also an editor for international books and a member of the Malaysian Psychological Association, International Council, and Asian Psychology Association.